Your mountains may be big, but your God is even bigger. I bought these shorts a few years ago and decided to dust them off and wear them today. 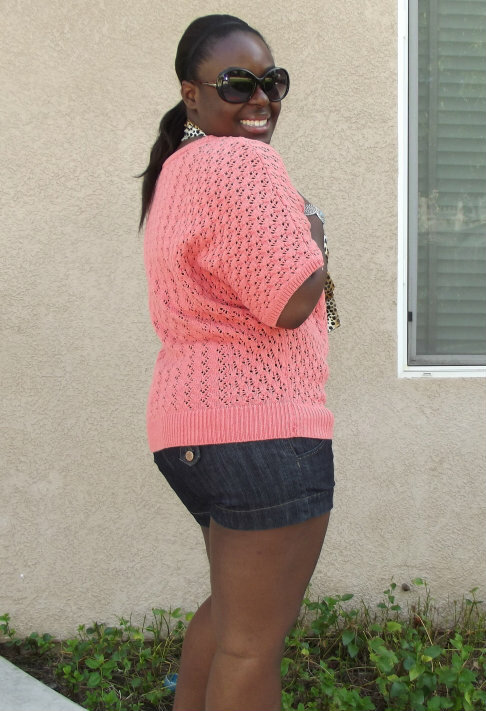 I paired it with a lovely coral sweater (gorgeous color), underneath is a tank top and I added belted wedges bought from LoveD. For a pop of I added a leopard scarf (my late grandmothers ).Very comfortable ...hope ya'll enjoy.